PUT YOUR NAME TO THE #ARTCONNECTS19 FESTIVAL — STEAM Co.
Will you show your support for our year long grass roots #ARTCONNECTS19 Festival we’re running with school communities across the UK to celebrate our kids’ hopes and dreams, their passion, their art? Will you be a PART of it by putting your name to it? Not as a Patron but as a PARTron. Hundreds have already signed up and were listed in The Guardian on Sat 30 March. We had a Lord, the Astronomer Royal, some of the most respected teachers, artists, business people, parents and young people. All sorts of Creative Carers like you. Will you stand up for Your Art? 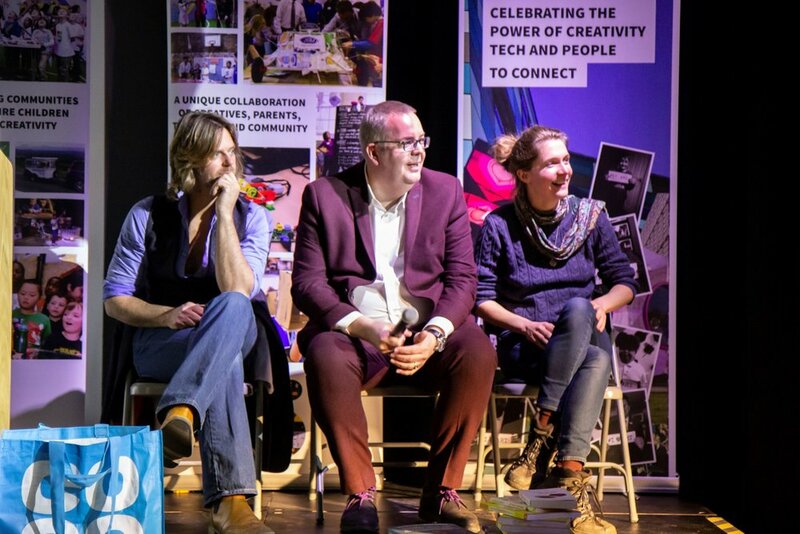 We had another page on Sat 30th March (see it here), the day we were speaking at the NEU’s Celebrating Education conference in London and filled it with hundreds of names of people who believe in the power of art: that’s the combination of creativity and people. We’ll put any donations we get to fund discounted, free sessions and to help us run it. Will you support our #ARTCONNECTS19 Festival? If you want to get in and get out, click here or on the image above and go straight to our online shop. Got your eye on a t-shirt or want to get your company involved, click here or on the image to see the options. Interested in the back story to all this? How the Minister of the Art of inspired us? Then just scroll down. 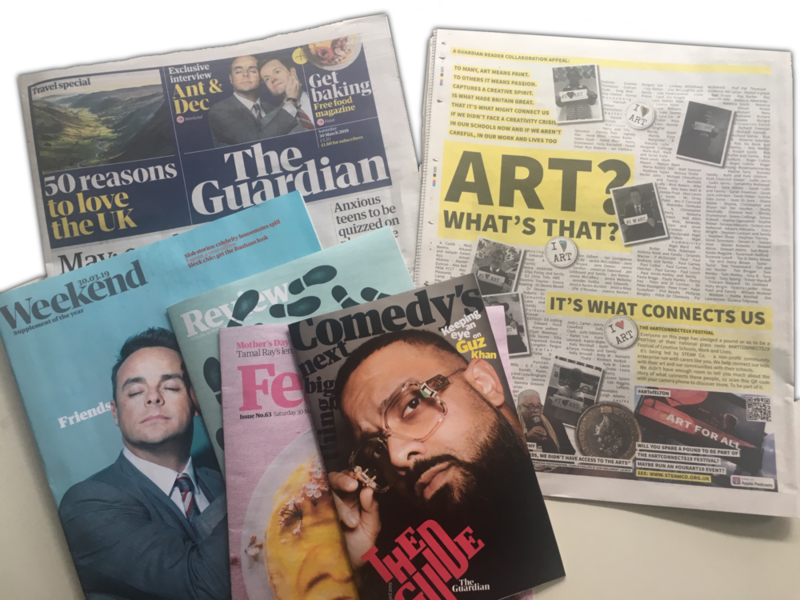 YOU - For a pound we’ll print your name in The Guardian as a supporter of art. For a little more we’ll send you other stuff or you can fund our days in schools this summer or help put another of our Pop-Up Drop Trucks on the road. THEM - many schools just aren’t able to offer creative and engagement experiences for their children. They love our sessions. Some need financial help to get us in so we want to offer half price and free sessions for them. Go straight to the sign up page? Read a bit more about our crazy plan and how a government minister inspired us??? CREATIVITY: Somewhere only we know. Don’t miss the film below with the latest global superstar song we’ve borrowed to advocate for creativity in our schools, work and lives. 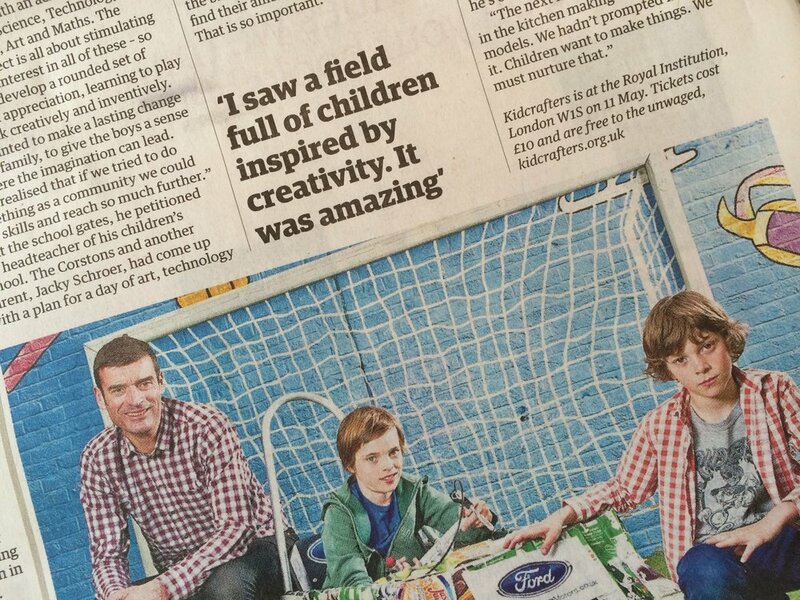 It’s by the son of a head teacher so we hope he cares about creativity too, gets it and lets us off. Like Elton John did when he RT’d the mash up we did of his song, our song, Your Song. 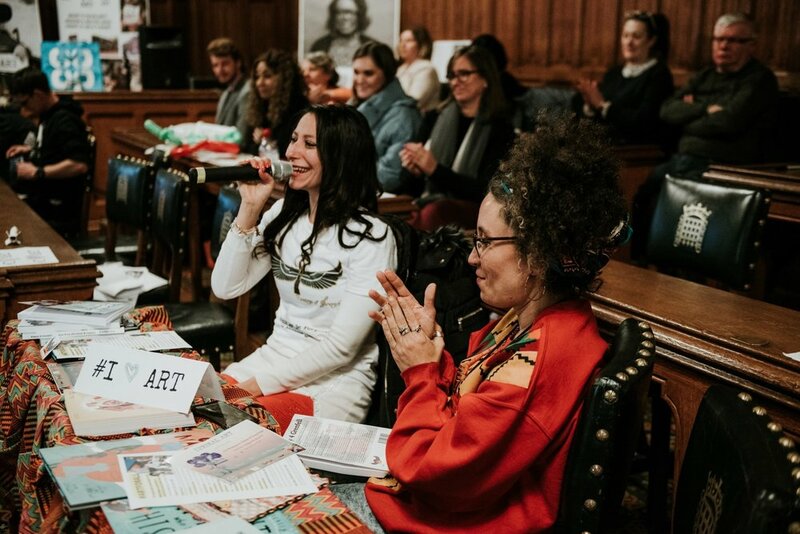 We launched our Ten Day #ARTCONNECTS19 Festival on New Years’ Day giving ourselves just 30 days to co-create a launch week. Inspired after a chat with the Minister of Digital, Culture, Media and Sport we decided we needed to, and should, co-fund it. It was a hairy audacious plan where we hoped Creative Carers, with some money but less time, would chip in to help those, with less money but more time, to go along. And so we could film it for everyone to see it afterwards. We still can’t quite believe what an epic line-up of speakers we pulled together for the launch week. Literally the best, including a creativity keynote from one of the world’s most inspiring and creative people, Tom Morley, co-founder and former drummer with Scritti Politti. Not only that, but we also had this year’s nominee for the $1m Global Teacher Prize, a music teacher from Bradford as well a young Scottish Asian woman who has been a former Toy Engineer, won the Young Woman Engineer of the Year award and has been in Cosmo. We had the best venues in West London - like White City Place which is London’s New Creative Campus for the ‘Creative Work and Lives Day’ on Sunday 10th Feb.
Saturday saw our ‘Creative Schools’ Day at Kensington Aldridge Acaemy, the current TES Secondary School of the Year in North Kensington. The line up included the TES Awards Creative School of the Year from Formby and the TES Community School and Alternative Provision School of the Year, who are a mile or so from the legendary Glastonbury Festival site. 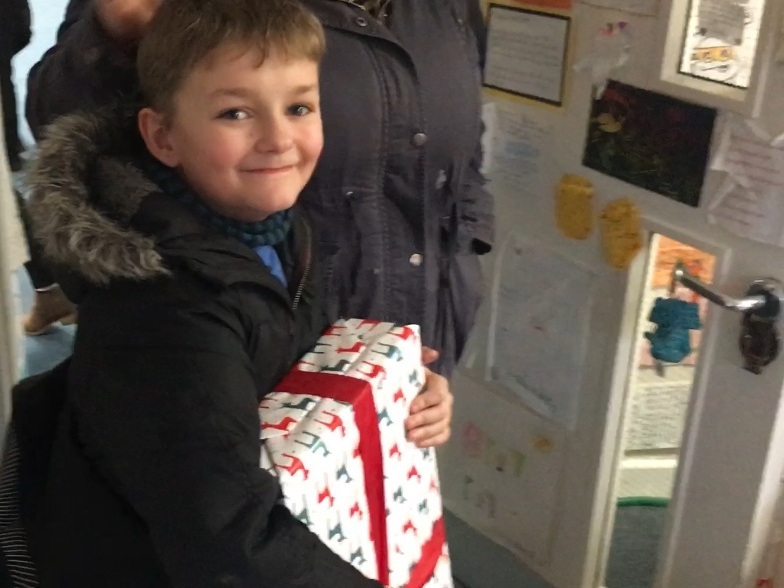 But our star was a little lad from Yorkshire, who last time we were in Leeds was delighted with a sticker we gave him but simply blew us away with his reaction to a Lego train set we got for him for Christmas from John Lewis. Add to the above, a few dozen schools who ran independent #OURART19 Events under the #ARTCONNECTS19 banner, with more joining the list every day. Yes, the cake was made and was full of juicy fruit. All that remained was give the tickets away free of charge. Yes, nearly all of them. We’re big believers in the 80:20 Pareto rule so gave 80% of all tickets away free and charged a bit more for the stragglers in the last 20%. Regardless of our best intentions we’d hit a bit of a wall and, taking Donald Trump’s advice, decided to go right through it. The problem with short notice events of this calibre is that many people, both speakers and delegates, already have full diaries. Other people simply don’t seem to go to events that they aren’t speaking at, which is understandable in a way, though we do wonder what sort of event would make them break that rule as that’s our goal. We’d also missed grant body deadlines and many companies we hoped might sponsor us looked the other way, given all the uncertainty with Brexit and general trading conditions, and who can blame them? Just when we wondered how to crack this log jam, we were invited to a talk by the Culture Secretary. We were offered an interview with him so jumped on a cheap and slow train to Coventry. For now, let’s just say that we were thoroughly inspired by the minister’s speech and he gave us a gift of an idea. You can read about that adventure this blog or watch the film he made for us just there. He talked about the importance of art in education, health, society, the economy, even prisons. How he was collaborating with all those respective departments and co-funding projects with them. Festivals? Yes, he even announced a Nationwide Festival of Creativity in 2022. But we can’t wait till then. Many people say they love our work and are keen to support us. They say they care for creativity and our children’s futures, but simply don’t have time to come along given other commitments. Let’s call them #CreativeCarers. Most of them are are busy with their jobs so it’s not really a money thing. This journey is full of magic moments, one particular one was when we were down at the Tabernacle Community Arts Centre in Notting Hill where one of our Collaborators and Cultural Impresario , Chris Sullivan was broadcasting on Portobello Community Radio. It’s a wonderful community spot, just a few yards from All Saints’ Road, once (still?) known as the ‘Front Line’. We chatted to many parents, teachers and community workers - all creative carers like you, who were interested in our Festival and keen to come along but simply couldn’t afford to pay the £40 we’ve budgeted we needed to charge for tickets. We met a senior member of the community who has been priced out of the area but comes back a few times a week to see old friends. He told us about his art, you may have seen it, those iconic photographs of Notting Hill in the 60’s, the visit by Muhammad Ali. Charlie Phillips said he’d be delighted to speak at our Festival, to inspire the next generation but that we’d need to pay him something as his “pension doesn’t go very far these days”. And rightly so. While we’re all artists, he’s a creative, someone whose art is his livelihood and whose work has brought pleasure to many and fuelled the UK economy. So our plan was to ask those creative carers with time and money to become a patron of the festival by making a donation to us as a non-profit community enterprise, to pay for those to come who also care and have time, but not much spare money. Actually not as a patron, that’s far too establishment for us. We also asked them to help fund some of the production aspects of the festival like speaker expenses, creative’s fees, some really fantastic and breathtaking performances and filming so everyone across the country could enjoy the festival. And to help fund us through the rest of the year. During the prep for the West London part of the #ARTCONNECTS19 Festival we made some great connections with the local community of North Kensington and Notting Hill. We think it’s pretty exciting that everyone who signs up as a PARTron will have their name in our next STEAM Co. newspaper. But we’re even more excited to say The Guardian offered us two pages in their paper (on Sat 23 Feb and the other hopefully Sat 30th March) and that every one of our PARTrons will have their name printed in there too! This is particularly special as it was an article in The Guardian five years ago around our first launch event at the Royal Institution that super charged our journey. For as little as 1p you can become a PARTron of this project to Celebrate and Showcase Creativity, to Inspire our children and help power their futures. We wanted to make being a ‘PARTRON’ affordable for EVERYONE to join in! Once you have made a donation we’ll get your email address and get back to you with how you would like your donation referenced on the newspaper page (ie John Smith, The Smith Family, The Smith’s Community, John Smith and Company, Mickey Mouse or Anonymous). Each truck contains everything a school community needs to run its first STEAM Co. Day - a mini creativity festival: Ukuleles, BBC Micro:Bits for Coding, Spin Painting, Inventing, Newspaper Engineering, Rocket Kits, T-shirt printer, etc, etc. 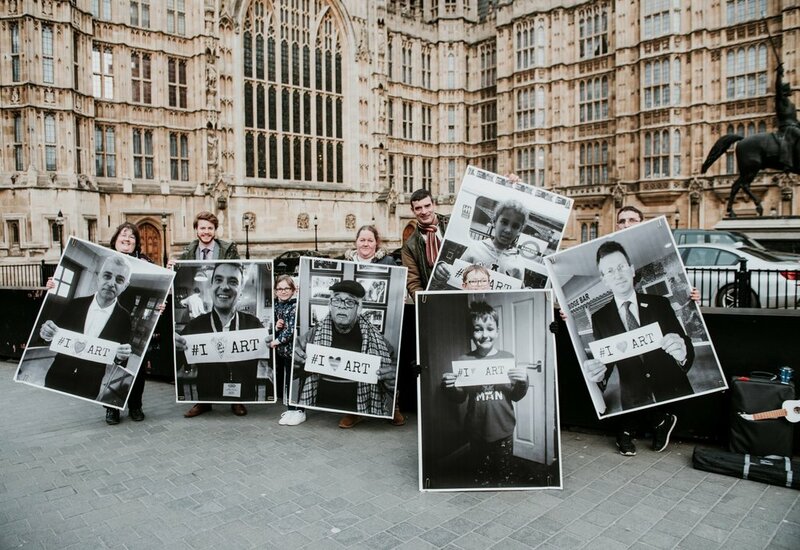 We completely appreciate that any creative carer, whether a person or organisation even vaguely interested in helping out with some of these options may at least want to meet us, take references from some of our advisory board or see some paperwork before committing, so don’t hesitate to drop us a line at yourturn@steamco.org.uk. 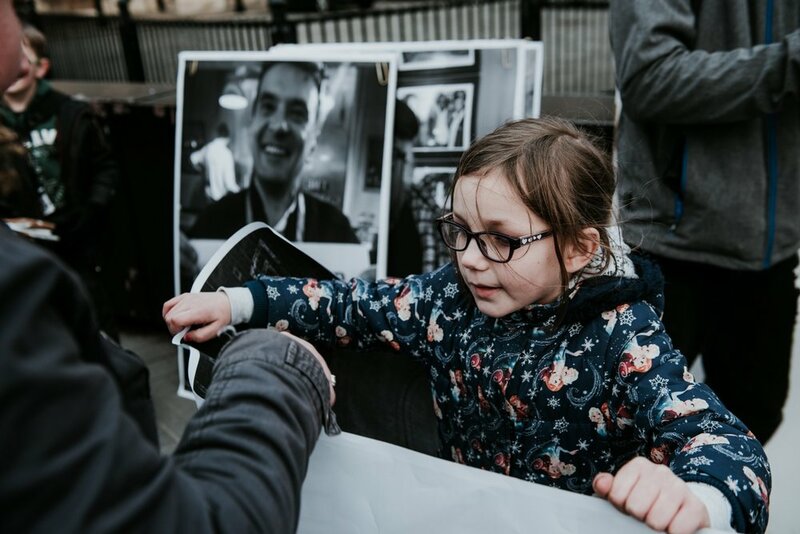 Click here to see all the photos from our launch event in Parliament and the film we made of the day below with ‘Brother can you spare a pound’, the song that Gaz Mayall and The Trojans have kindly donated.